United Biomedical Inc., 25 Davids Drive, Hauppauge, New York 11788, USA, e-mail: csia@unitedbiomedical.com. It is well known that autoimmunity associated with the onset of insulin-dependent diabetes mellitus (IDDM) involves the generation of autoreactive T and B cells. The findings that diabetics mount humoral and cellular immune responses against islet cell antigens (ICAs) have led to the testing of ICAs and their analogs as candidates for therapeutic agents for better treatment of IDDM at its prediabetic and diabetic stages. Apart from this type of approach, various immunological intervention strategies aimed at direct targeting of the autoreactive T cells have also been investigated. 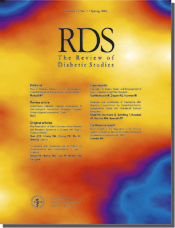 The present review covers the ongoing aspects of these developments focusing on the preclinical findings made in NOD (nonobese diabetic) mice which have been commonly used as a disease model for human autoimmune diabetes. Other types of approaches involving the mobilization of regulatory T cells to indirectly control or modulate the pathological activity of autoreactive T cells will not be discussed within this scope.